The Pennhills Club, 146 Pennhills Drive in Bradford, Pennsylvania, is an 18-hole, par 70, championship golf course designed by Walter J. Travis. For Pro Am gallery tickets, private event information, or membership call 814-368-6159. 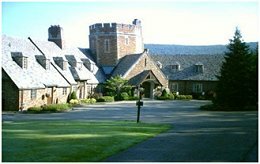 A private county club, groups can book a luxury Pennhills Golf Outing to experience the “Country Club Lifestyle.” The magnificent experience extends to the Scottish revival clubhouse for fabulous food, drinks, and pro-shop. Pennhills Golf Outings include double occupancy lodging, all greens and cart fees, breakfast, lunch on the terrace, and an exceptional dinner by their outstanding chef, Jordan Evan. 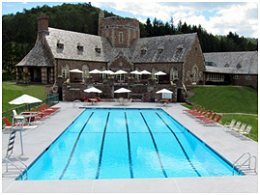 Transportation to and from the club from lodging can be arranged, as can group trip transportation to the nearby area attractions of the Allegheny National Forest, Kinzua Sky Walk, Zippo/Case Museum, the Seneca Allegany Casino, and Ellicottville, New York. Catering the Events in your Life. For over sixty years, the Pennhills Club has been providing exceptional food, service, and atmosphere to its guests. They specialize in creating custom tailored menus and events for all occasions. Weddings, reunions, and sales meetings are their specialty. Pennhills Club can easily accommodate 250 guests or create private dining areas for smaller groups. One phone call does it all. Call Kevin Mosher, General Manager at krmosher@pennhillsclub.com or call 814-368-6159 or for personalized assistance in planning your next golf outing.